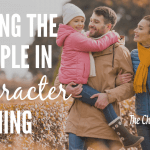 As parents it is very important to be consistent in character training, because consistency offers stability not only for our children, but for us as well. 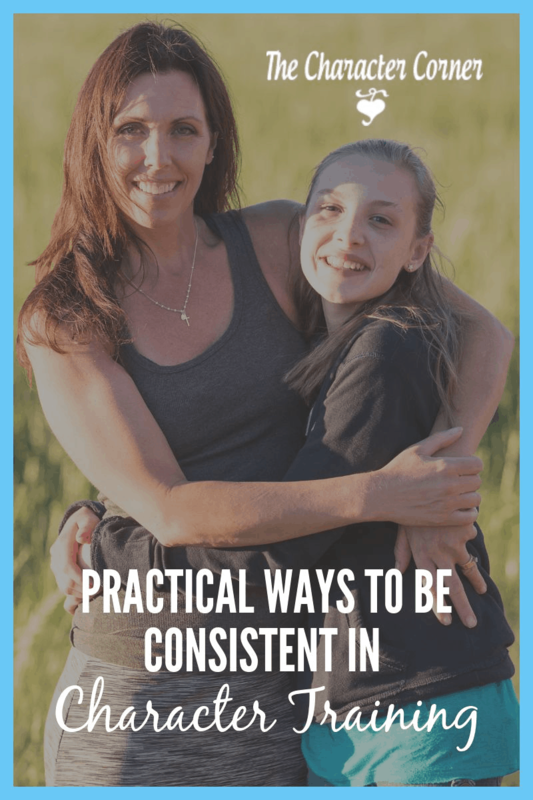 Consistency is one word I dreaded hearing when I was in the earlier throes of motherhood. When I would hear the word consistency, I often heard rigid and inflexible, but we know consistency doesn’t mean that. We better understand our way of doing the things we choose to do when we do those things with routine and purpose. When I started on the path of consistency, I wanted to change everything at one time. The food we ate, the cleanliness of my daughters’ room, and I am sure much more. 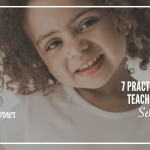 If I tried to change or work on several routines or behaviors at one time, I was surely setting myself up to fail as a parent, and setting my daughters up for frustration with so many new expectations at once. By choosing the behavior or routine I desired to correct the most, I could purposefully help my daughters be better at the one thing versus doing many things with not so great results. Clean bedrooms have been a struggle in my home. It can be overwhelming for a child to put away all the things at once. Since I hadn’t consistently helped my daughter who struggles with this area the most, the overwhelming feeling can be even more overbearing for her. Recently, we rebooted being consistent in this area for her. She has a weekly routine of cleaning her room twice a week to help it not become overwhelmingly messy. I modeled cleaning the room, I guide her in cleaning the room if she becomes stuck, and I respond positively when she makes efforts cleaning her room. By focusing only on cleaning her room, it has not only helped her in this area, but she is slowly applying it to other areas of her life. We have to say no to our children at times, but in this case I am speaking about saying no to other opportunities, responsibilities, and so on that causes us to become distracted as parents. When I am working to be a consistent parent, I have to say no to other things that want to distract my attention away from my children. I have to think about the effects my yeses will have not only on my schedule, but on the people who I am sharing life. Because consistency is related to stability, I know that saying yes to everything can change our environment. If I say yes to teaching a class at 9 o’clock in the morning when I know this is the time in our home when we are coming together in our homeschool, I am teaching my daughters it’s okay to put the first things last. I don’t want to teach them that priorities aren’t priority so this means having a proper perspective. Remember having too many things on your plate can negate consistency in your home so choose your yeses wisely. It can be hard parenting alone even when having a spouse. I know I often come up with routines without consulting my husband because I am the one who is primarily home with my daughters. Waiting to act when it comes to helping my daughters be better isn’t always in their best interest. Although my husband may not be around when changes occur, I can inform him of the changes and the reasons for the changes. He can help me remain diligent if he knows what is going on. 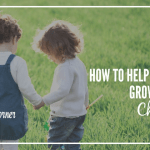 By having an accountability partner, I am less likely to slip in old parenting behaviors, and my daughters are less likely to fall back into a rut. While it is great to have another adult to help hold us accountable, our children can be a part of the accountability team too. In our homeschool, I am not the best at grading papers on time. My daughters know this so I asked them to help me stay on top of the duties that aren’t my favorite. Simply enlisting others to help you be accountable can cause you to be more consistent so don’t try to go at it alone. It’s wonderful to see other people’s children behaving a certain way and doing certain things. 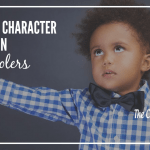 We can admire the behaviors exhibited and activities done by our friend’s children, but we have to be careful not to force the things we admire onto our children. When being consistent, we have to be intentional about our purpose. We have to be intentional with the systems we put into place for our children to succeed. We have to be intentional with our words and actions. To be successful, we must be intentional. If I chose to harp on my daughters, saying, “Yes, ma’am.” after every statement they made to me, it would be fruitless. This isn’t something I care about, but in the south many people do care. I can change my parenting style to meet the needs of others, but I don’t parent in this way. Instead I intentionally teach my daughters to be respectful of other people including both adults and children. When I intentionally teach them to be mindful of the way they interact with others, I know it really doesn’t matter if ma’am or sir follows yes. Having a purpose and knowing your purpose for the routines and behaviors you desire your children to exhibit is truly a key to success when it comes to consistency. If you really don’t care about a behavior or routine, you will not follow through and your children are less likely to attempt to be successful. Simply stated, focus on what matters to your family. I’ve noticed my daughters have slowly become more and more consistent in their actions by watching me model consistency. They have started to form new, better habits because they see me forming new, better habits. Latonya Moore is the content creator for Joy in the Ordinary where she often writes about homeschooling, parenting, and reflections about life. She is a wife and mother of two daughters. When she isn’t homeschooling and having fun with her family, you can find her teaching math and art online at Outschool.